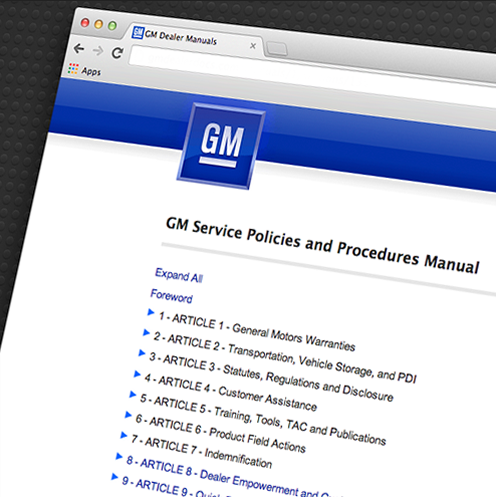 For years, GM’s Policies & Procedures manual was printed onto individual pages, assembled into four-inch binders, and shipped to dealers. 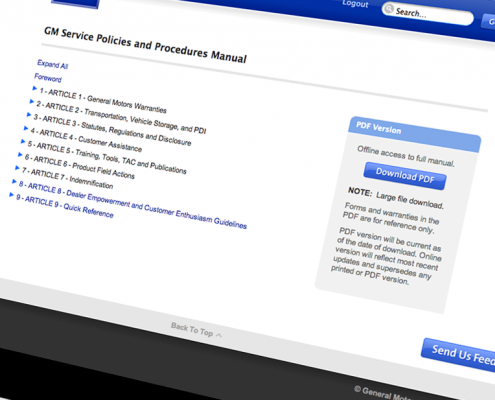 But this conventional fulfillment and distribution system was expensive and cumbersome, so Gilson (who was handling the printing and fulfillment of these manuals) approached GM with a streamlined, cost-saving alternative: digital distribution. Initially, the program was launched by formatting the manual as an interactive PDF and distributing it to more than 8,000 dealers on CDs. 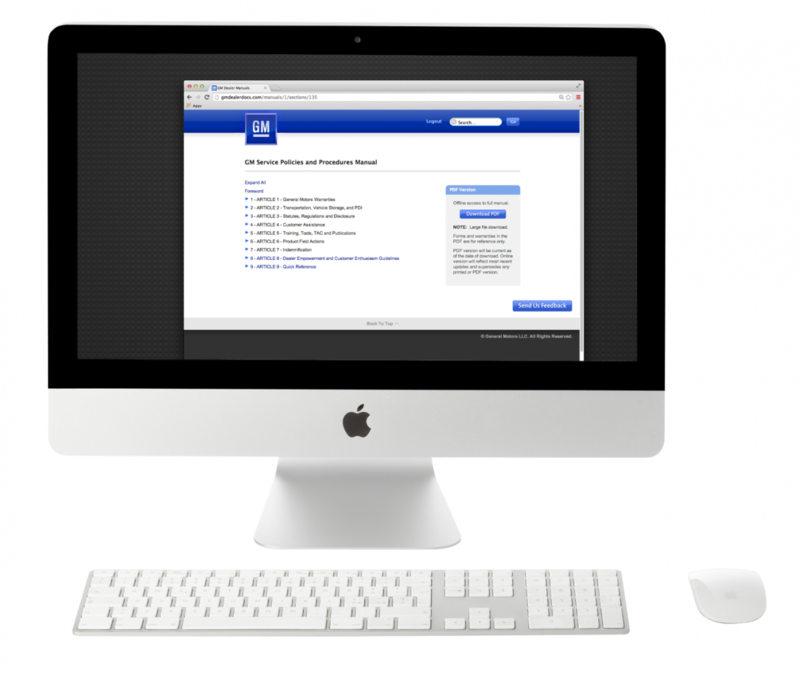 In 2006, Gilson advanced the project again, developing a secure website with a proprietary content management interface that accommodates more than 50 content managers. 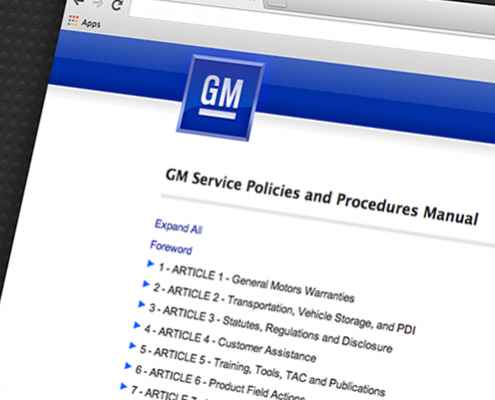 GM readily agreed to the move, and immediately cut its program costs by 50%. 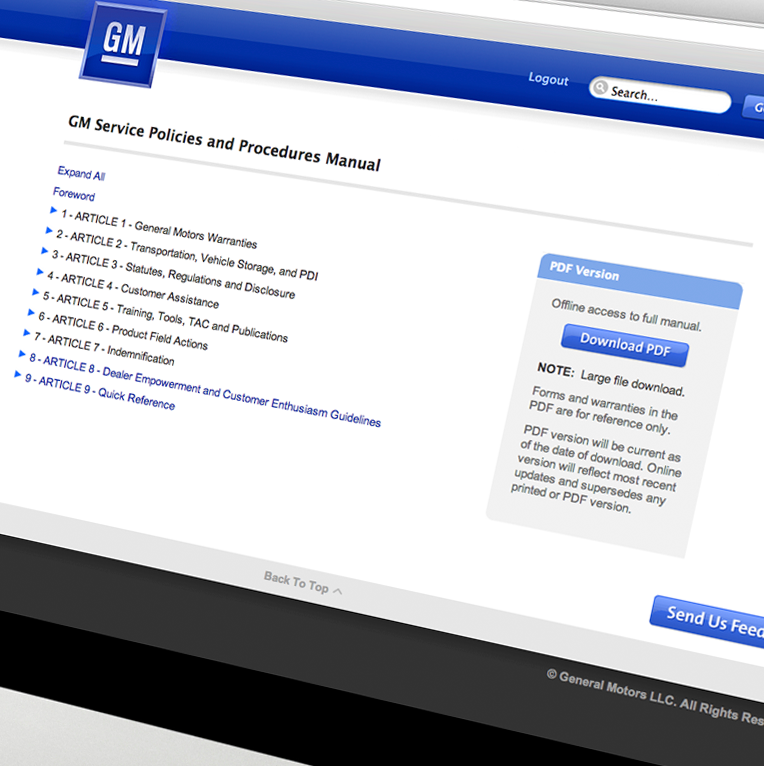 Today, the program has grown to include a site for GM Canada that is offered in two languages. Read more about this innovative program in the GM Case Study.